There was always an air of inevitability, in the aftermath of the accident and death of DILG Secretary Jesse Robredo, that there would be calls for his widow to pick up the gauntlet and get on with the fight for righteousness that her late husband started. That is so ‘us’ – a nation where sentimentality is no small consideration on the way to an exalted position in government. That was how the late Corazon Aquino, a self-confessed housewife with no experience of politics and government, found herself as President of the nation; albeit, the circumstances then were a tad different. After all, among the consequences of the prolonged stay at the helm by Ferdinand Marcos was the absence of a legitimate opposition that would have prepared somebody to become President in the eventuality that the incumbent lost the people’s mandate. That is why, seeing and hearing Leni Robredo in the evening news steadfastly denying that she is interested in politics and stating that her immediate priority is supporting her daughters is like a breath of fresh air! In other words, when Aquino was swept to power by the raw emotions of an entire nation, ability was the least of the nation’s concern. It had come to an ‘anybody-but’ situation; and truth be told, anybody who had the grit to stand up to Marcos would have won admiration. But Aquino was a unifying icon that nobody else was: the widow left behind by a brutal assassination that pushed the nation over the brink. Six years later, at the end of a term that was marred by coup d’etats and an economy that was not any better than what she inherited, nobody could really point accusative fingers at Aquino. In the first place, everybody knew that she had no experience when she was voted into the Presidency. Of course, it was always clear that Aquino was the transitional figurehead who would usher the nation back into a legitimate democracy after nearly two decades of being governed practically as a police state. Whatever her shortcomings as a leader, her permanent legacy has been to show the nation that a leader does not have to be one that will bleed the coffers dry. Those who had to stare into space during the Ramos presidency because of 14-hour power outages – also among the legacies of the Aquino government – would have also come to realise if they were honest with themselves that indeed, in politics and government, sentimentality only makes limited sense. At the end of the day, after the emotions had subsided, everyone has to get on with the daily task of putting food on the table and living lives on the assumption that basic services like water and electricity will be provided as governments in a modern civilised society do as a matter of course. Ninoy Aquino would – or at least could – have become a great President, a point made moot by his assassination. Admittedly, there was probably a need to ask his wife to stand in. Even then, something ought to have been starkly obvious: Cory was not Ninoy. How obvious can something get? While circumstances are different in the Robredo case, the fact is just as obvious: Leni is not Jesse! 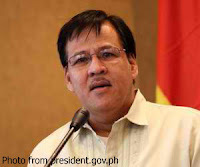 Jesse had years of experience in the corporate world and local government before becoming Secretary of the DILG. It is unfair to say the least to even assume that Leni can simply pick up where Jesse left off; in the same way that it was also unfair to a large extent to assume that Cory Aquino could seamlessly pick up the reins of government after Marcos had been ousted. We are a nation, after all, where fame is seen as a stepping stone to government; and never mind where that fame was acquired. That is why there are movie stars, athletes and what-have-you in various levels of government. Hell, just last night, the rock band Journey’s Arnel Pineda was being asked if he was going into politics! Whatever happened to track record? Whatever happened to understanding of law and public administration? Whatever happened to management savvy? On the other hand, it is – indeed – more fun in the Philippines! “I have no plans to enter politics and I would prefer to be a regional trial court judge. There are so many ways to serve the public without entering politics,” these were the words of Leni Robredo upon speaking to the media. 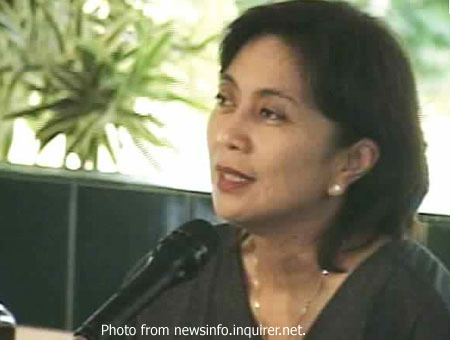 Perhaps Leni can one day make a great politician herself, who knows? But what she does in turning her back on politics is to correctly point out that sentimentality and the culture of fame in politics is really not the way to bring this nation forward. The right to suffrage, after all, is probably better used with the head than with the heart. Bravo, Leni! I am sure Jesse is proud of you!